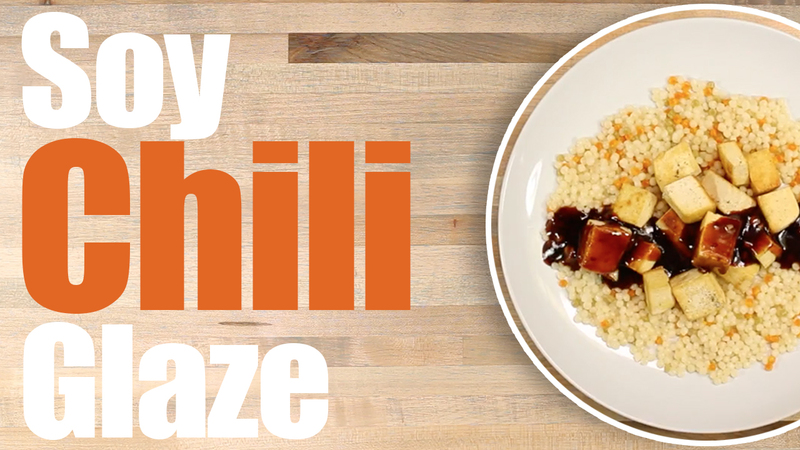 This is a seriously easy to make Soy Chili Glaze! This soy chili recipe goes great with Tofu or any seafood! It's quick and is sawesome for dipping as well! Hope you enjoy our rich garlic soy glaze! Mince Garlic. Mix water and cornstarch and add all other ingredients to sauces pan and simmer on high for 2 minutes. Now add Cornstarch water mixture and set sauce pan to low and let thicken.